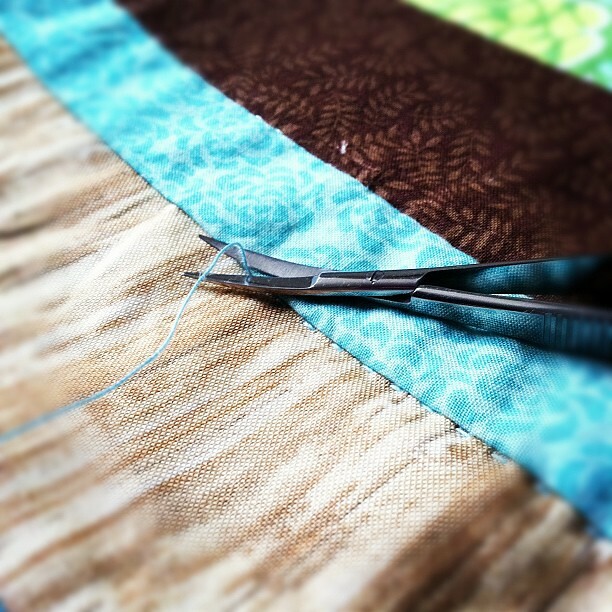 Slate Falls Press: Phoebe's Spool Quilt Day 25- Perfect scissors. Phoebe's Spool Quilt Day 25- Perfect scissors. I think these curvy snips came in a goody bag of some sort from a recent TNNA show. Now, I will say, I am not a "gadget girl" when it comes to sewing, clearly, as I am hand quilting with only the aid of good thread, a thimble, and a hoop. But I have to say, these curvy little scissors are perfect for hand quilting, as they allow me to trim the thread very close to the quilt top without risking cutting into the fabric.